< INFO > Clean metadata of yum repositories. 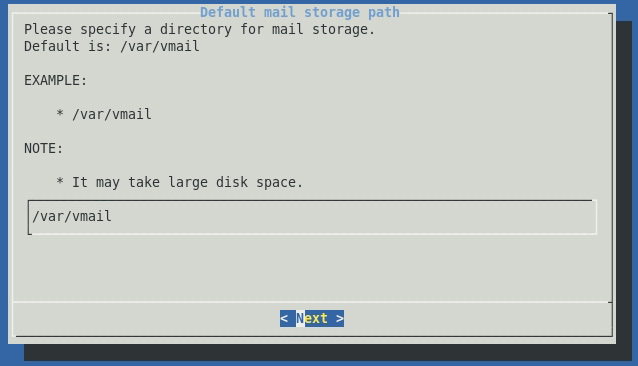 After this step, iRedMail instalation will be update all your repo's database, to make sure you get the latest realease of the files. after update all repo's database, it will continue with downloading required packages and install it. You just need to relax and wait ( and hope have fast internet connection ), becasue in my case, it will install ( including update) 80 package. < INFO > Create SSL certification files. 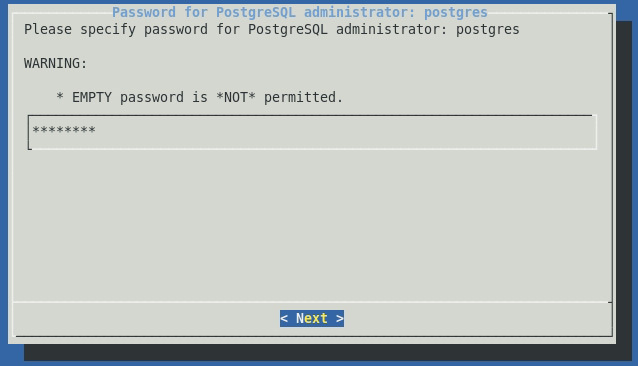 < INFO > Configure PostgreSQL database server. 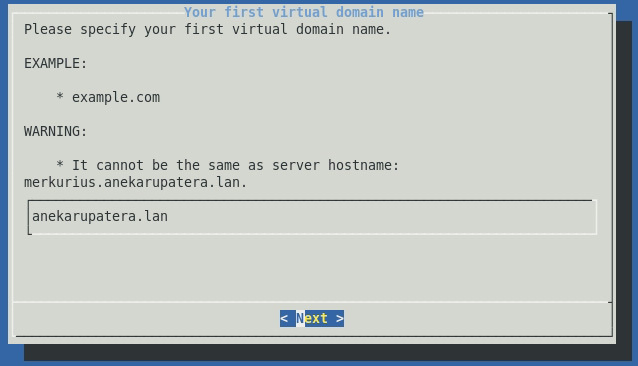 < INFO > Configure Policyd (postfix policy server, code name cluebringer). < INFO > Configure Dovecot (pop3/imap/managesieve server, version 2). 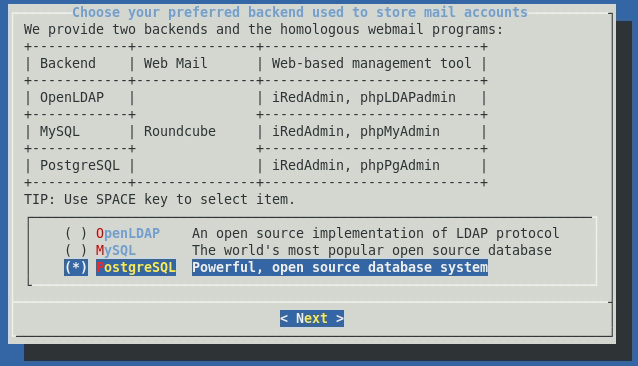 < INFO > Configure phpPgAdmin (web-based PostgreSQL management tool). 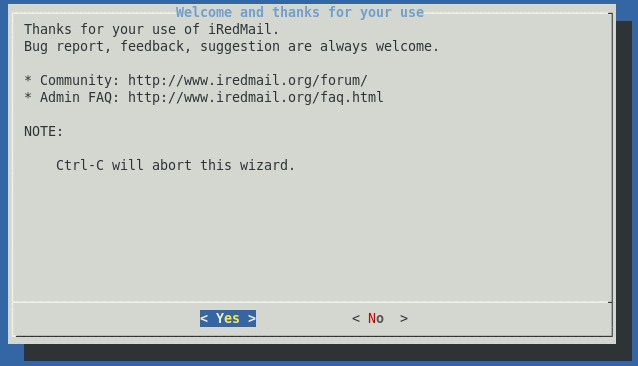 * iRedMail-0.8.3 installation and configuration complete. < INFO > Disable SELinux in /etc/selinux/config. 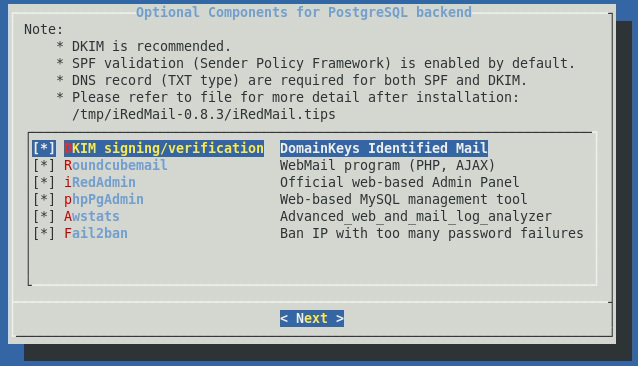 < Question > Would you like to use firewall rules provided by iRedMail now? 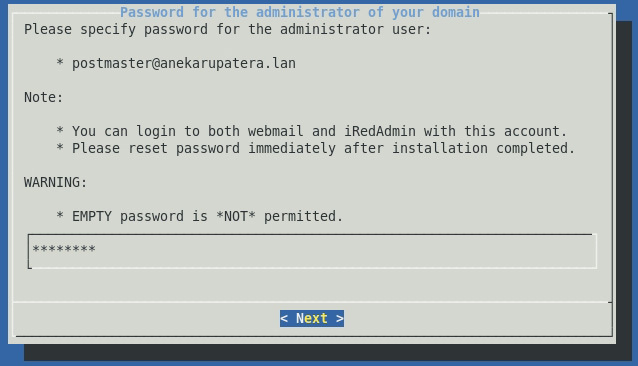 and then iRedMail will try to update your ClamAv Database, after installation finish, you will get this notification. * And it's sent to your mail account postmaster@anekarupatera.lan. * Please reboot your system to enable mail services. Finish ??? Not Yet We must update bind configuration with Domain Keys Indentified Main (DKIM), now open your console again. Or, if the above command complain about config file, "Config file "/etc/amavisd.conf" does not exist, at /usr/sbin/amavisd line 1799." you can use command below. dkim._domainkey.anekarupatera.lan. IN TXT "v=DKIM1; p=MIGfMA0GCSqGSIb3DQEBAQUAA4GNADCBiQKBgQCkfeQwd0g+DmQf4PE0vwtO3sJVpGgLrq1g5Uw0/erPxL8DGj2IdviHQuA364CpOvB4jA4h9U/fJiGBsWNA0SjnLTjVyLM4iNOSCPISJKnnvcnG6vv4UXDjwYoDJd5JYNbW2tURNMDQeWNdfQ4thLygtPH83hkpL1b9EV5Xf9ldAwIDAQAB"
Now test your DKIM key, it should be pass right now. Final check, Make sure you have /var/www/awstats/awstats.pl on /var/www/awstats/ directory, if you don't have it, you must create it using command below.